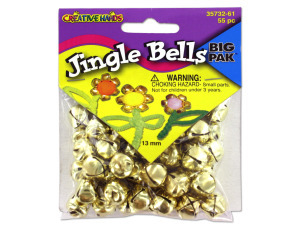 Gold jingle bells can be used to create a huge variety of arts and crafts projects. Each bag comes with 55 gold bells. Set is packaged in a poly bag with header card. Bells measure each.